Bartenders’ New Year’s Resolutions Myth.. 1 Vote Up! THE HIGH CLUB PANETTONE COCKTAIL 2 Votes Up! The Sailor’s Treasure Cocktail 0 Votes Up! Cocktail Cookbook by Oskar Kinberg 0 Votes Up! DIAGEO WORLD CLASS GLOBAL FINAL 2016 IN MIAMI IS H... 2 Votes Up! ADOPT A BARTENDER! 0 Votes Up! Release your global Bartending pressure.. 0 Votes Up! The invisible world of the Concierge 0 Votes Up! Winner of the Irish Mermaid Challenge, Mihai Fetcu... 0 Votes Up! The DEAD RABBIT in Rome!! 0 Votes Up! The big moment has arrived: WORLD CLASS 2015! 0 Votes Up! The World’s 50 Best Bars 2014 announced 0 Votes Up! Win “THE LONG POUR” Book with THE IRISH MERMAID Co... 0 Votes Up! VIDEO: “ONE MORE” BAR – SOFIA 2014 0 Votes Up! Breakfast, Lunch and..HUGS 0 Votes Up! Max La Rocca @ VENUEZ Barshow Benelux 0 Votes Up! The (KETEL ONE) “Dutch Moustache Companion” Cockta... 0 Votes Up! BALANCE YOUR LIFE! – by Gary Regan 0 Votes Up! World Class 2014 Burst 1has kicked off! 0 Votes Up! 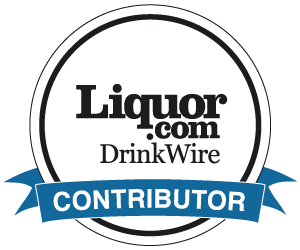 THE LONG POUR – A Bartender’s Anthology of Hilario... 1 Vote Up! SUPER-BAR, Milan 30 September/3 October – The firs... 0 Votes Up! Craft Cocktails at Home: Offbeat Techniques, Conte... 0 Votes Up! Diageo World Class Global Final 2013 – Azamara Cru... 0 Votes Up! Camillo in Xela Cocktail on “The Negroni: a Gaz Re... 0 Votes Up! The “Pic Nic in Jalisco” Cocktail 0 Votes Up! The “BULLEIT MAN” Cocktail 2 Votes Up! The “Giant’s Gate” – St Patrick’s Day Cocktail 0 Votes Up! The “Doctor’s Nightcap” Cocktail 0 Votes Up! The Blazing “Irish Coffee-less” 0 Votes Up!